It isn’t often Kev gets anything new, so I thought I would let him have a look in this time! 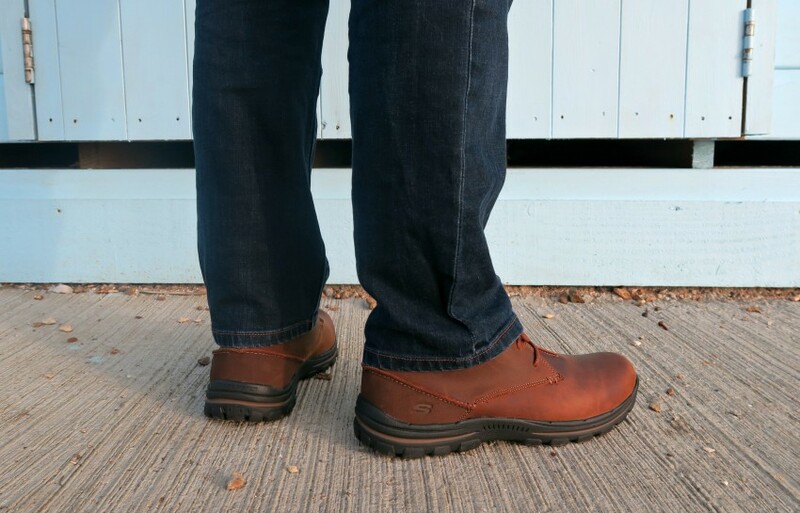 So, a few days ago he received some smart new Mens Boots from Brantano, a pair of SKECHERS Braver Horatio. Only downside of that, is he would need to pose for me. So we headed out for a walk with the dog, and a trip to our local beach. 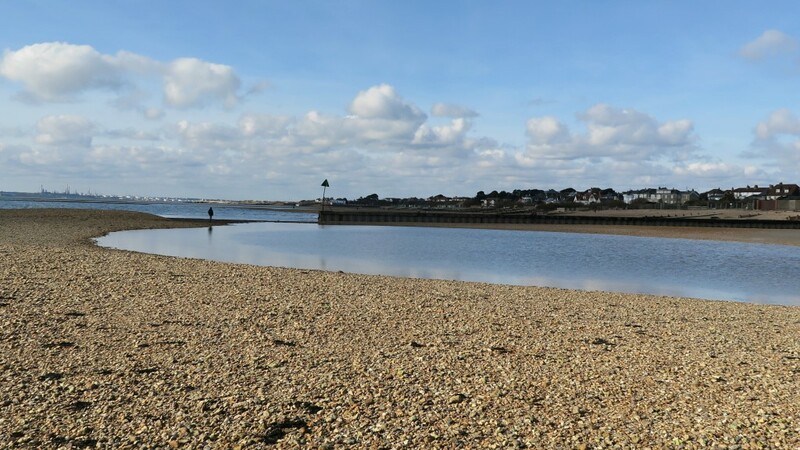 I love visiting Hill Head for a walk with the dog, a nice open space for the dog to run about, but somewhere that isn’t muddy and we aren’t covered in mud by the end of the walk! 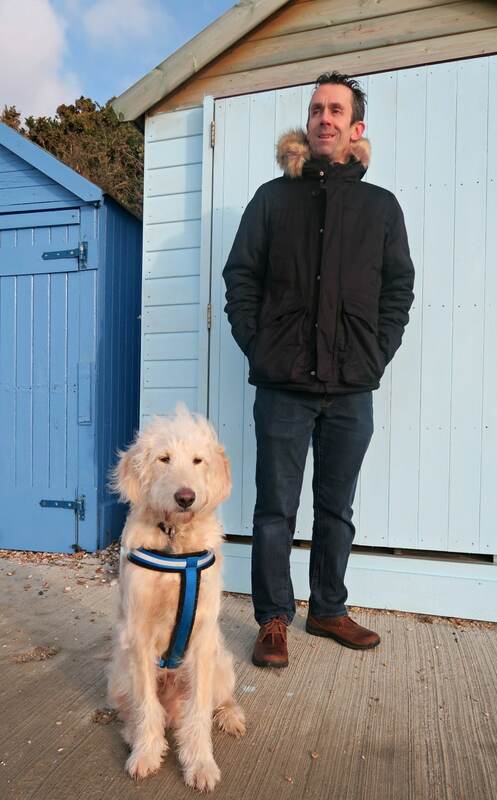 Don’t forget to wrap up warm with a jumper and coat though as it’s pretty windy down there! The beach has recently been worked on, and lots more stones added, and some of the beach huts are being painted up. So these made a perfect backdrop for our pictures. Gus HAS to get in on the photos! I have trained him to pose for pictures, so as soon as he hears the camera turning on, he comes running over to pose! I don’t mind, he’s really too cute to say no he can’t. 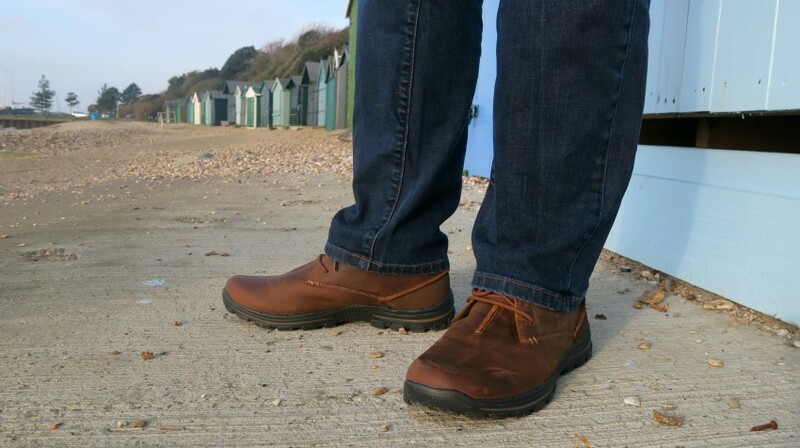 Kev was really pleased with his SKECHERS Braver Horatio boots, they are dark tan in colour, with a leather upper, and ankle height. They are so comfy to wear, as they have a memory foam insole, which supports his feet, as well as offering a comfortable base. What surprised us so much, is how light they are. You would think by looking at them that they are going to be heavy to wear. Not at all, they are super lightweight, which makes them even more comfortable to wear. 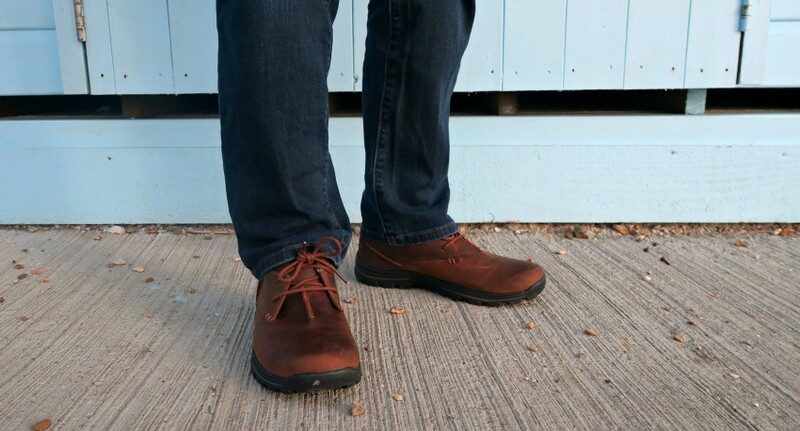 His SKECHERS Braver Horatio are priced at £78, but they are worth the price. 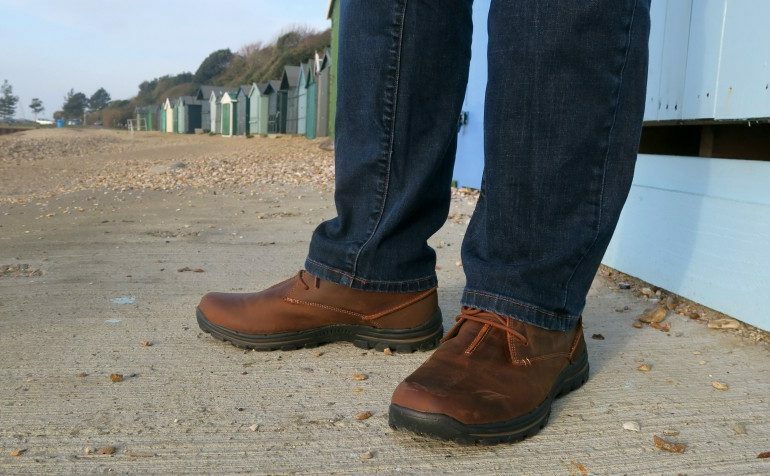 They are a quality pair of leather boots, and I can see them lasting a long time. *We were sent these for the purpose of the review, however all opinions and words are honest and of my own. 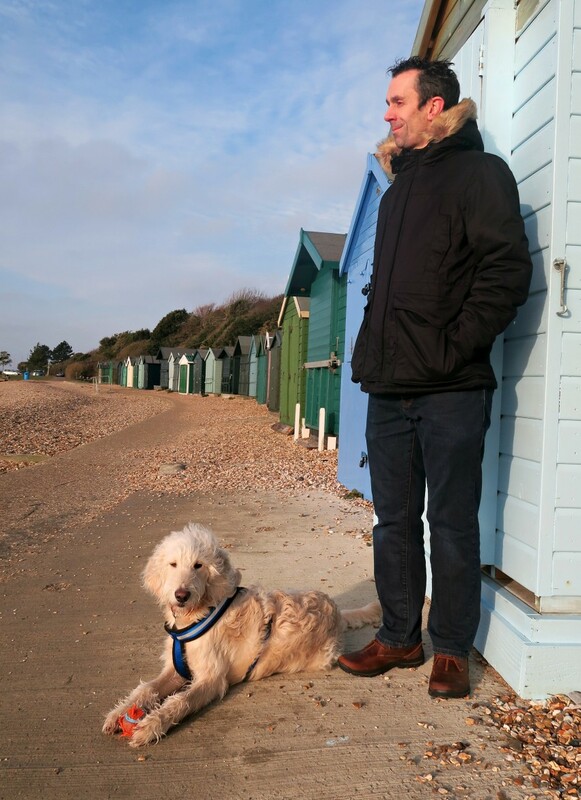 so nice to have the beach so close by – like the shots by the beach huts!